Order in the next 52 minutes and it will ship today! These 3-sided, bottle sparkler clips are designed to hold up to 3 of our bottle sparklers! 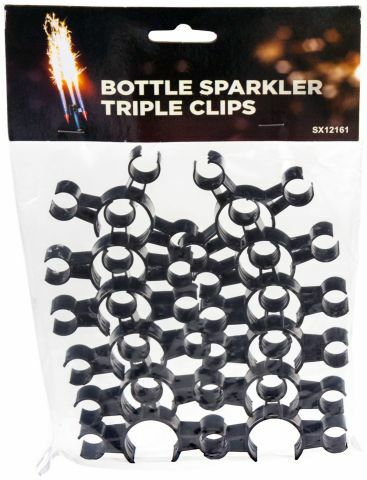 These clips are re-usable, and can be used with most standard-sized bottle sparklers. I received the product on time and they were a hit. I would reccomend this company.